What Software Does Black Type Sports Use? 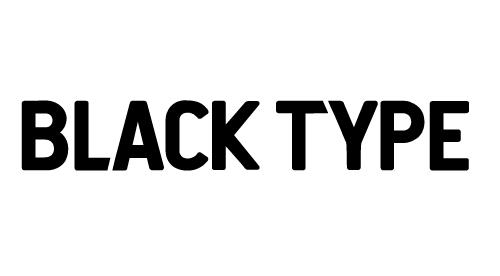 Black Type has also developed a specialised and dedicated mobile app for iOS devices. Players can download this from the iTunes store to make the browsing experience even smoother. A window at the top highlights any bonuses, promotions or special bets that are currently running. Overall, despite it's youth, Black Type's betting app is a truly complete betting experience. The odds on Black Type can be switched between fractional and decimal using the toggle button at the top right-hand corner. When comparing betting odds against other bookmakers, Black Type was offering the same – if not better – odds on many football (compare them here), rugby and baseball matches. It also guarantees the best odds on all UK greyhound races. However, odds are only part of the equation when using Black Type to place bets. Many other bookmakers are limiting the amount that can be laid down on one bet, but Black Type guarantees it will lay any price to lose at least £500. What Betting Markets are Offered at Black Type Sports? Although Black Type is a UK bookmaker, it covers a wide range of sporting activities from all over the world, include Live and In-Play markets. In addition to the 20 categories, there is also a Specials section that deals with non-sporting bets such as in the fields of politics, world events, and film and TV. Does Black Type Offer Live Betting? Black Type not only caters for live betting, but is at the forefront of all the bets listed on the site. This section will detail any sporting activities taking place in real time that punters can still bet on, including football, tennis and cricket. What Bonuses are Offered with Black Type Bet? Black Type is built on a promise that includes dealing with its customers fairly and treating all banking data with confidentiality. If an issue does arise, you can contact the Black Type support team via email, who will endeavour to reply and resolve the issue within 24 hours. Black Type is powered by FSB sportsbook solution software, which is licensed by the UK Gambling Commission. It has set the Independent Betting Adjudication Service (IBAS) as a third-party adjudicator, should any issue arise that cannot be resolved by the site itself. As it is a UK-only bookmaker, withdrawals and deposits are available only in pound sterling. At present, deposits and withdrawals can be made only using Visa, Visa Electron, Maestro and MasterCard. The minimum deposit is £10, while the maximum is £5,000. If you later decide to withdraw these funds and you have not bet 50% of the value you are trying to withdraw, there may be a processing fee of 5%, with a minimum penalty of £3. Withdrawal times and limits are above par for the industry.